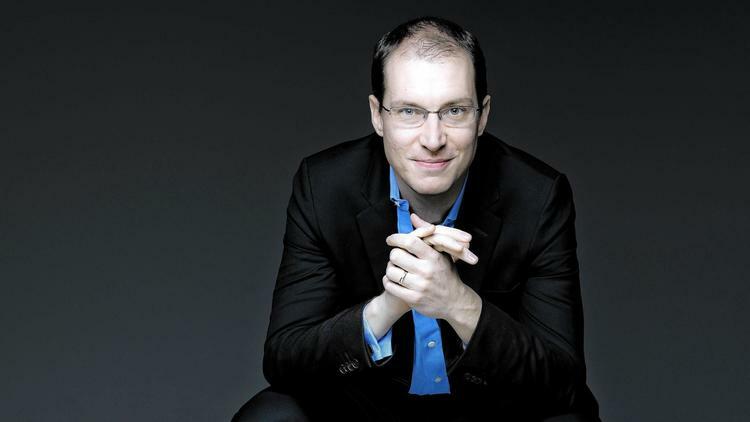 Beethoven’s thorny “Grosse Fuge” would hardly strike the average classical concertgoer as a likely concert opener, but in the polished, intense performance by the strings of the Hartford Symphony Orchestra under their frequent guest conductor Joel Smirnoff, it proved a surprisingly engaging choice. A former violinist in the Juilliard String Quartet, Smirnoff highlighted the lusher quality of this arrangement over the more rugged sound of the original version for string quartet. Vonsattel dispatched the lively first movement, which includes a ravishing harp cadenza, with dexterity and flair, brought flowing grace to the sublime “Adagio,” and made the closing “Presto” an exuberant romp, in which trombone slides and muted trumpets evoked the composer’s friend George Gershwin. Conductor and orchestra, especially the large percussion section, provided animated support. A dramatic account of Schubert’s monumental ninth symphony brought the program to a majestic close. Nicknamed “The Great C Major,” to distinguish it from the composer’s shorter sixth symphony, in the same key, the score was discovered ten years after Schubert’s death by his admirer and fellow composer Robert Schumann. From the warm opening theme, through the somber “Andante,” the rollicking “Scherzo,” and the triumphant “Finale,” Smirnoff and his musicians reveled in the flexible rhythms of this massive almost-hour-long symphony. The entertainingly hyperactive conductor kept the audience riveted to the stage all evening. At one point in the evening, the pianist stressed the importance of building the next generation of classical music lovers. “If you get them young enough and in the right circumstances, it’s really not that difficult” to interest young people.